Laugh and learn with Julie and Kristen as they journey from "I haven't ridden a bike since I was a kid" to reaching the goal of participating in a Farm to Fork Fondo event. 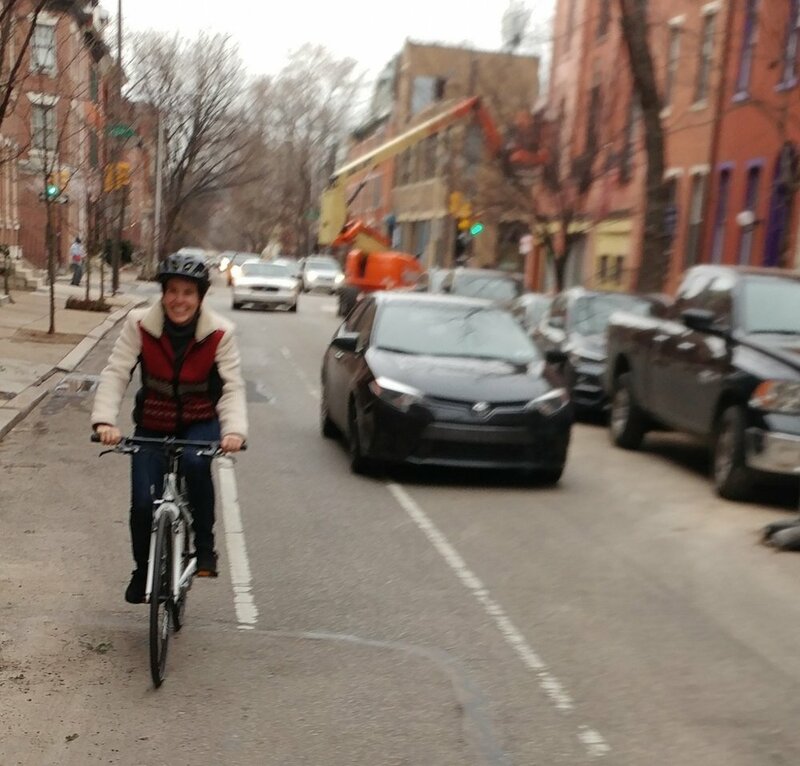 It was a cold and slightly snowy day in January when our fearless cyclists (Kristen’s talking about herself, here.) (Nonsense, Julie! You went bike shopping in January!) 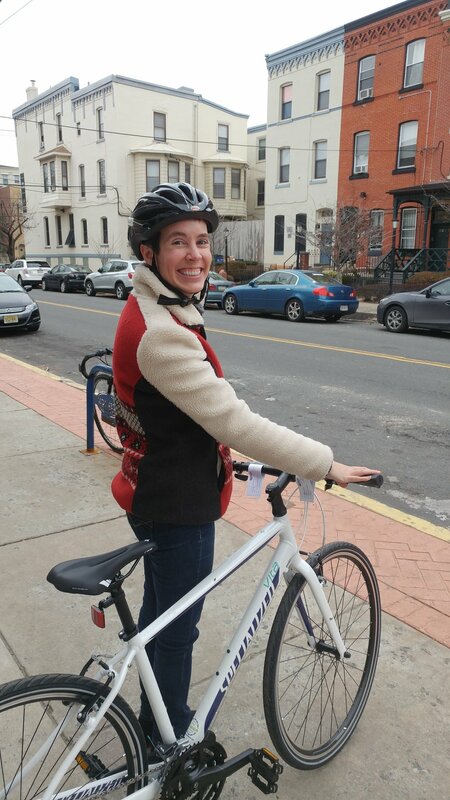 ventured out onto the streets of Philadelphia to shop for a bicycle for Julie. Kristen and I visited three shops that day. At each place, the friendly and knowledgeable folks asked me questions like “what kind of riding are you planning to do?, will you be riding on paved surfaces or dirt?, will you be riding during all types of weather?, do you prefer an upright riding position or more aggressive?, etc. I answered to the best of my ability – I intend to ride on paved surfaces, mostly recreationally - meaning fair weather only, an upright position is more my style, and I envision no racing in my future (that’s what Julie thinks now!). These answers led each shop to suggest a hybrid style of bicycle for me. I test rode 6 different bikes that day, including Specialized, Jamis, Liv, and Cannondale models. Kristen accompanied me on several of the test rides, as I was a bit reluctant to ride in city traffic by myself. (Julie did great in city traffic. She didn’t get too intimated by obnoxious honking drivers and even laughed when she suddenly found herself lying on the road surface with the bike on top of her. Neither of know exactly what happened there!). We made notes about what I liked and what I didn’t, though after a while I admit it was hard to tell…I’m not ashamed to say I was a little saddle sore the next day. I did learn a lot about changing gears that day, though I am certain I have a long way to go, yet. My last bike was a pink and purple Huffy “Sweet Style” 10 speed. I’m pretty sure it had different gears, but I’m also pretty sure I only ever used one of them. Julie's first ride on her new Bianchi bike!